Harvey Hext lives in Winford in The Chew Valley. He is the only known child in the world to have both Downs Syndrome and Neuroblastoma - a rare and aggressive childhood cancer. He has been battling this disease since he was very small, and has recently enjoyed a couple of years of relatively normal childhood, attending school and going on holidays with his mum and dad, big sister and twin brother. But he is not cured. The cancer remains and he continues to be monitored very closely with regular scans and check ups. In October 2014 a routine scan picked up a new growth, and in January 2015 he endured another lengthy operation to remove the new tumour. At the time of writing he is recovering well from that op, and he and his family await news as to what happens next. Standard treatments available in the UK for Neuroblastoma all too often do not do enough to fully beat the disease, so the families of these children find themselves having to raise very large amounts of money in case they need to go abroad for further treatment not readily available in the UK. 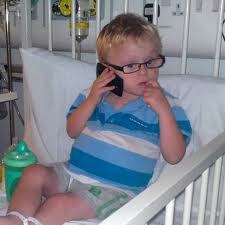 Harvey needs to raise £300,000 to be able to travel abroad should he need further medical care. 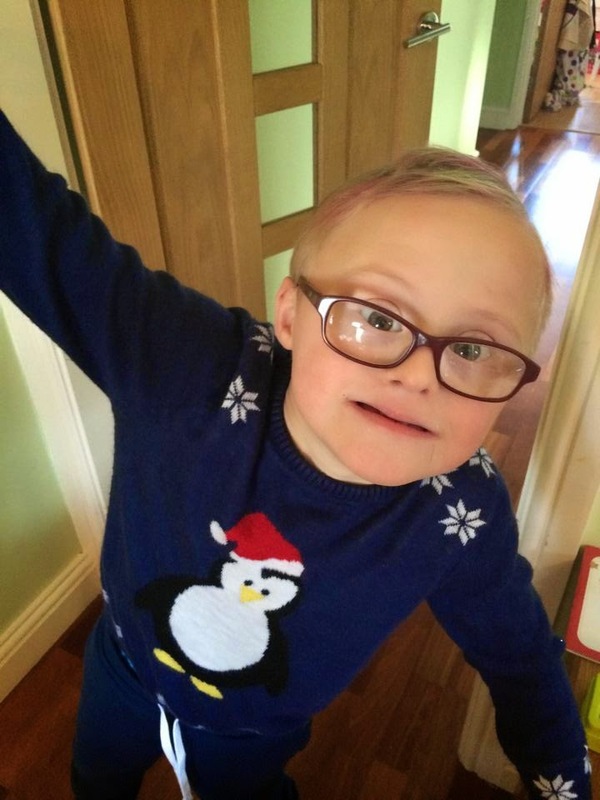 Many local business around the Chew Valley and further afield have joined ranks in helping any way they can to get Harvey closer to the treatment he may need. 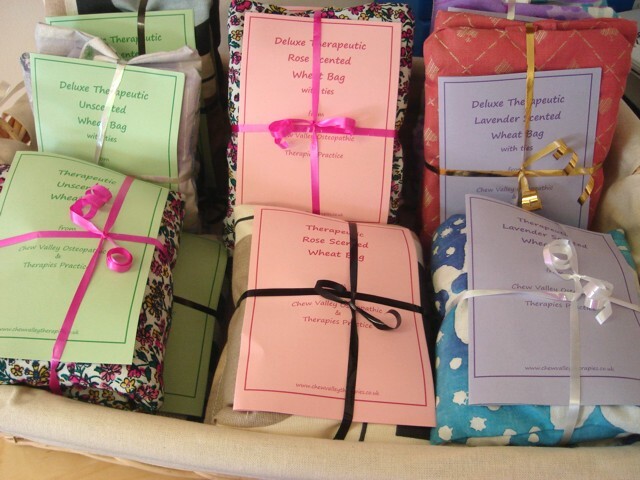 Here at Chew Valley Therapies, we are supporting Harvey through the sale of our own, hand made Therapeutic Microwaveable Wheat Bags in response to demand from patients who were being advised to use them but couldn't find them anywhere in The Chew Valley to buy! Using a large sack of donated grain, some wonderfully scented dried lavender and rose buds donated by The Organic Herb Trading Company, and a lot of fabric scraps, we have created two different styles of bags, in three different fragrances, available for sale at the Practice, all proceeds going to straight to The Harvey Hext Appeal. We are also very pleased to take part in the annual Winford Parish Scarecrow Festival, the brainchild of one Winford mum. The Festival has become much larger than anyone ever expected, with scarecrows appearing all over the Chew Valley, Wrington Vale and beyond. 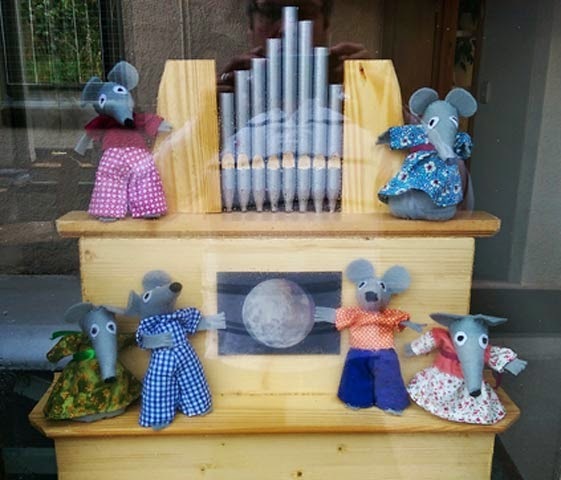 The scarecrows can be seen during the month of October each year, with a Scarecrow Fayre taking place at Winford CofE Primary School half way through the festival, hosting all sorts of special events. Each year the festival has raised several thousand pounds for Harvey's appeal, and has become a much loved event throughout the valley. 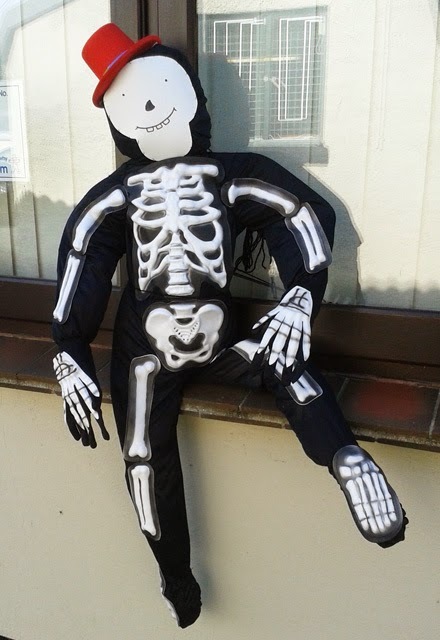 Our scarecrow in 2013 - "Funny Bones"